It’s about midnight and I am in the most content mood. Sean just fell asleep. I always tuck him in, which entails some kisses and cuddle time, typically until he falls asleep. Then I come back out to the living room and inevitably stay up all night, no matter how I fight to go to dream land. Tonight the whole Franklin-Newman family is here. I’ve got my cat, Higbee, hiding in the closet. Sean’s got his dog, Tuff, who is a cuddle muffin. Unfortunately, Tuff is confused on what to do right now. I’m awake, so he wants to be in the living room. Sean’s in bed, so he wants to be in there too. It’s turned into a toe nail tap show throughout the apartment. 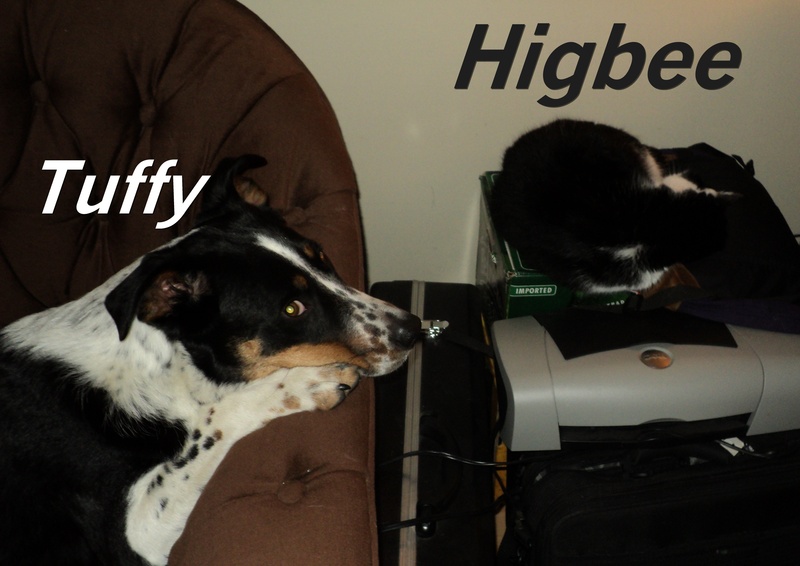 Plus, all Tuff really wants is for Higbee to be his friend. He does so well with Higbee. He looks at him and whines. If he gets too close, Higbee gives him a warning-growl. After the warning, the kitty-boxing gloves come out and Tuff runs away whimpering. Higbee isn’t quite prepared to befriend him, but he is tolerating him, and that’s freaking fantastic. Why won't you love me!?! Other than having a “full house” I’m content because of Nutrisystem. I’m on day 4 and I can already tell that it’s working. Standing, my stomach is no longer sticking out twice as far as my breasts. Keep in mind, I’ve got itty-bitty ta-tas, so sticking out twice as far is not as huge as the average woman would thus be. Now, if I’m wearing a bra, they’re at the same “outtie” distance. Yay! Plus, when I sit, I don’t feel like my gut is in the way. I can’t believe the difference 4 days has made! Overall, I’m thoroughly happy with the Nutrisystem. I’m actually learning to be a better house “wife” because of it. There’s no throwing a bunch of crap in a pan and eating it. I have to think about whether or not it fits into my meal plan, and then I have to prepare it. 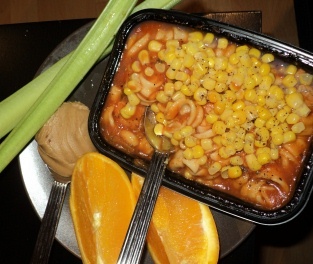 About one of the meals during the day, I have NO urge to chop up vegetables and pretend that I’m going to like it. Of course, once I do it and sit down to eat, I can’t believe how yummy it all is. Then, the prepackaged meals give me the feeling of eating “normal” food and not being on a totally restricted food plan of fruits and veggies. 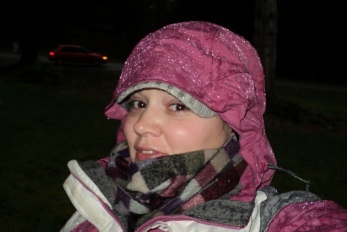 Even the rain didn't keep me from going for a walk. I’ve felt so much better emotionally since late in the second day, due to the amount of crappy food that I got out of my system. I’ve got more energy, my smile comes freely, and I am not minding doing quick house clean ups. I never thought that Nutrisystem would help me to improve my house wifery. 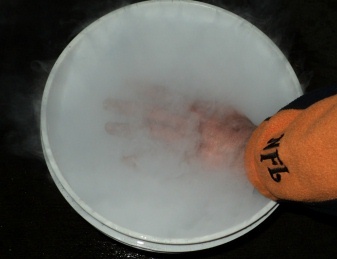 The second surprise that Nutrisystem delivered to my door – Dry Ice!!! Sean and I had a little fun with it. Are you ever doing something totally child like with another grownup and you realize “This life and this person is SO right for me!”? 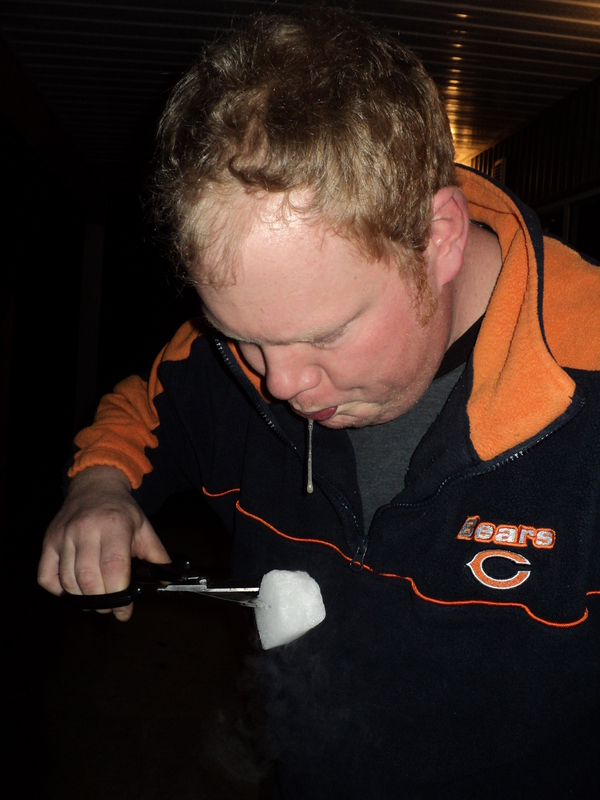 Yeah… I had that moment when Sean I are were spitting on the dry ice to watch it freeze in strands. Seriously love this man. I was the first to spit on it and Sean’s response was, “Nice aim. You hit that perfect!” Love. This. Man. He’s perfect for me. Romantic, sweet, disgusting, handsome, and a jokester. What more would I ever ask for? of those this week. I do have a project I’m ready to do. I’m going to use the styrofoam container that the frozen food showed up in. I’m going to “upholster” it with one of the fabrics Mom sent me in the care package. When it’s done, I’m hoping it will look like an ottoman. Here’s the stuff Mom sent me. I’ll keep posting each craft I make when I get them done. Now you can know what I was working with. While going through the pictures of the week… I can’t manage to stop myself from posting this one. Remember when Bill Cosby gave birth to that gynormous hoagie and a 2 liter of pop? Well, when I looked over and saw what Sean was creating for dinner, I couldn’t help but think of it and start laughing. By the way, after he finished these four, he made one more. Why? 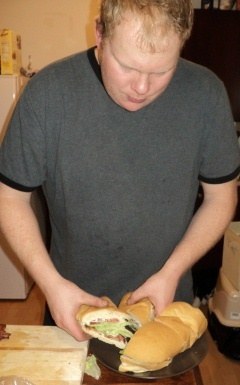 “Because the bread is essentially air!” – Sean. 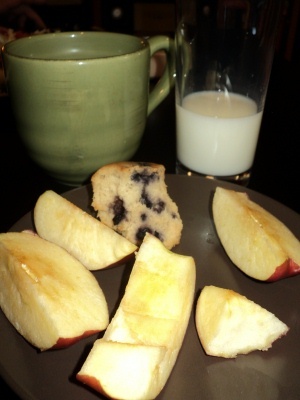 This entry was posted in Bill Cosby, Boyfriend, Crafting, Exercising, Family, Higbee, Home making, Nutrisystem, Sobriety. Bookmark the permalink. 7 Responses to Red Wine, Please!?! If it’s been 5 years from your conviction, you can apply to get into Canada. But it has not yet been 4. Sorry. Huh… I kept thinking it had been 5yrs. You’re right. Crap. But, the time clock doesn’t start ticking until I finished paying my fines… which I was thinking was 2.5 years ago. Or so I thought. I think I was on the two year payment plan… so that means I’ve only been done for a year and a half!?! Son of a biscuit!!! Do you have any thoughts on that fine-payment being the start of the ticker? I’m glad you gave me that reality check. Otherwise I’d have been doing a countdown and then been hit in the face with another year. Very nice Blog and sounds like you are enjoying yourself, although very limited area to enjoy 🙂 I’m happy though your happy, that is always nice to hear and read. Love the spitting picture. Sean looks like a 30-something little boy.